Cobalt System Drier represents a concentrated mixture of metal carboxylates in mineral spirits: 1% cobalt and 13% zirconium. It includes an active, primary surface drier with an auxiliary through-drier blended in the ideal proportions for oil painting. Cobalt is a primary oxidizing (active) drier. Used alone and in thick applications of paint, it has a tendency to cause wrinkling. Cobalt is generally used in combination with lead, zirconium, calcium or combination of these metals as a drying initiator. Zirconium and calcium are effective auxiliary driers when used in conjunction with active driers, such as cobalt or manganese. Zirconium promotes the through drying of a paint film. Zirconium is the most effective replacement for lead driers. 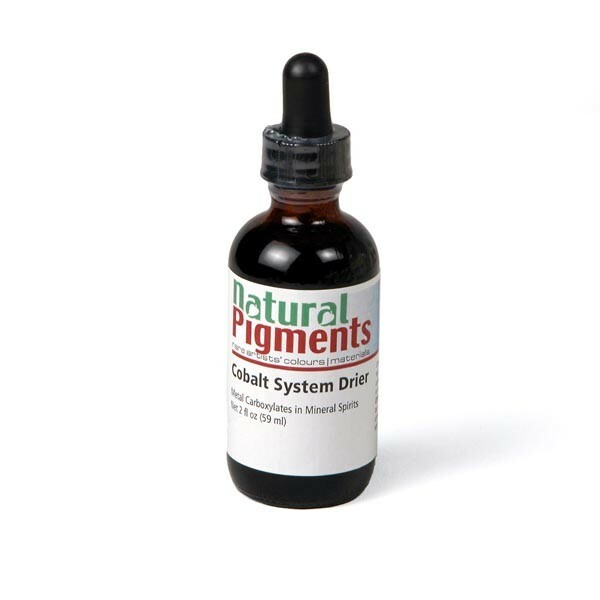 It also improves gloss and color when substituted for lead. It improves the action of cobalt drier and is used in conjunction with it and assists in the "through dry" of oil and alkyd paint. 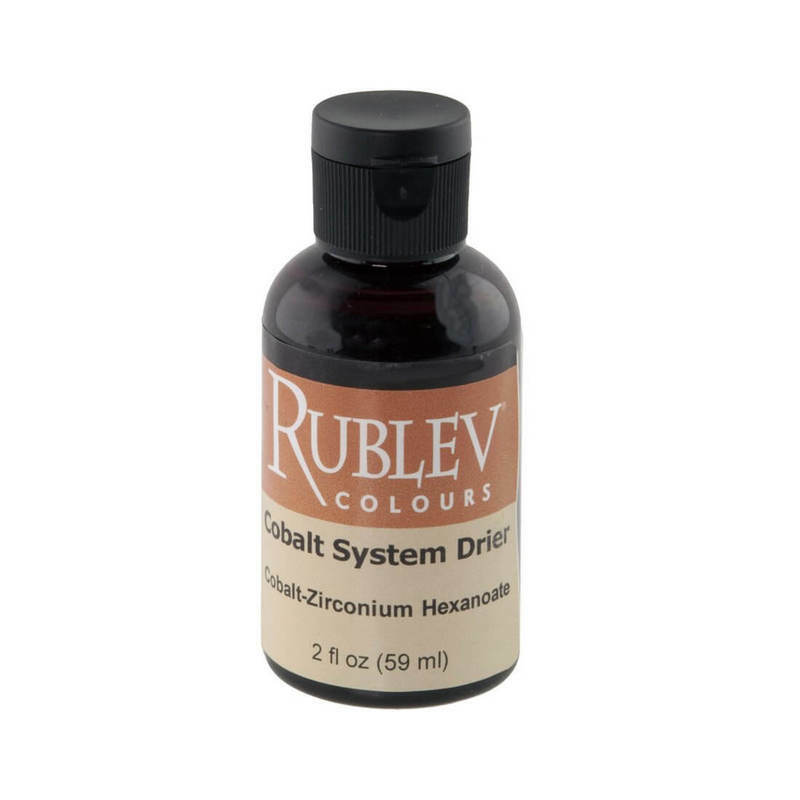 Cobalt System Drier contains the active drier of cobalt blended with zirconium in the ideal proportions for oil and alkyd paint. The lower dose of cobalt combined with the through-drying action of zirconium promotes complete and fast drying of the paint film.